When you think about it, cooking and time travel have a lot in common. Preservation brings food forward in time. And occasionally, the act of dining resembles a race against time. 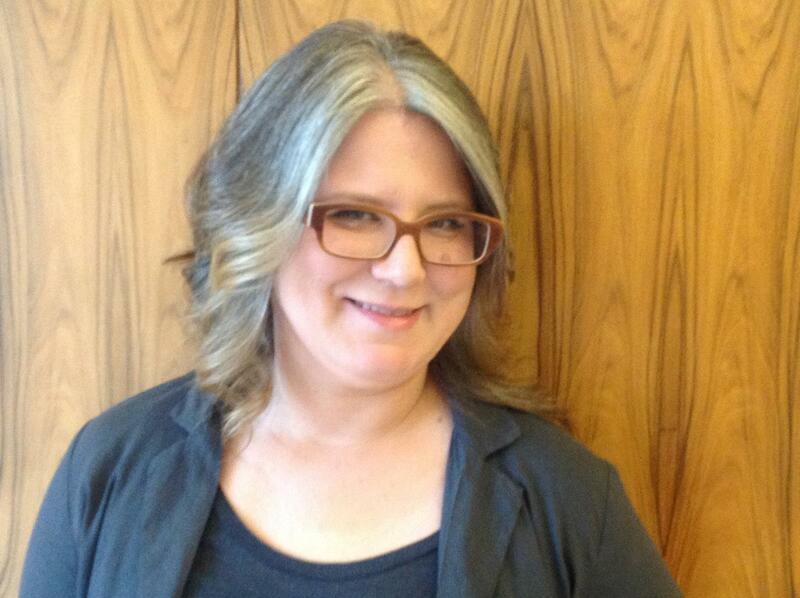 Author Bee Rigeway, whose time-leaping novel The River of No Return debuted from Dutton Press in 2013, applied her knowledge of food to the problem of time travel. She joins Cooking the Books to talk about rot, cheese, canning, romance, and more. Thank you for joining us, Bee! In The River of No Return, we first meet Nick when he is breaking the law. He’s helping a modern artisanal cheese maker avoid trouble with the FDA. Nick is a time traveler, who has been living for ten years in the twenty-first century. He’s ended up in Vermont, with a great deal of money. And he’s discovered that he likes to use his money to support local, small farmers. Which is why he’s with the cheese maker, Tom Feeley when the cheese inspector shows up. Tom makes legal cheeses, cheddars, but he also likes to make French-style raw cheeses without FDA approval. Nick knows this and shows up just in time to help Tom throw all the illegal cheese away before the cheese inspector arrives. Cheese is a great metaphor for time travel. It is. Cheese takes time to make. In effect, a wheel of cheese is a time capsule. For Nick, the raw-milk cheeses that are illegal now are more like the cheeses of his nineteenth century life, and represent the volatility of his youth. The place where the cheeses are made is also about his former life. He was a Victorian aristocrat, with tenant farmers, who made money from the land. In a way, he’s recreating his past life with this new artisanal movement in Vermont, with products that are very old fashioned, as well as with investments that are old fashioned. Very early in the story, Nick is challenged to come to terms with class issues. And to come to terms with the fact that his former aristocratic lifestyle was based on the subjugation of many people. Right. Tom Feeley’s family has had this farm since the American revolution. I’ve been in Vermont, and they have a saying that ‘If you don’t have seven generations buried in the ground, you’re not a Vermonter.’ So I wanted Nick to come up against what “American aristocracy” looks like, versus British aristocracy. In the cheese scene in the opening, Nick is in a position to just swan in and save Tom, and to literally save the farm. But when he goes back to the nineteenth century and gets sucked back to his real life, he is confronted by the differences. As you say, things that in twenty-first century Vermont look like benevolence, in the nineteenth century are not so benevolent. Nick is confronted with the reality of centuries of tenant farming, and the ways in which that system was supported by imperialism, the slave trade, the war in Europe. He ends up having a crisis of faith in himself, which becomes an issue for him throughout the book. And that crisis was totally instigated by cheese, which is true for most things in my life. Cheese is the beginning and end of most dramas of my life. You mentioned that your partner is a baker and a cheese expert. Yes! Kate is a food-obsessed maniac. She always plans six or seven meals in advance. For the last seven years, she’s volunteered at the Fair Food farmstand in Reading Terminal Market in Philadelphia. She’s become an expert in local cheeses. And in the past six or seven years, local and raw cheeses in Philly have really become amazing. Some of these farms are winning prizes all over the place. Local quality has jumped. Kate is constantly bringing home cheeses that are beautiful and innovative and amazing. This, combined with my time in Vermont – I had a friend who has a cheese farm, and what happened with Tom Feeley happened to her with the FDA – means I have learned so much about food and cheese that this book had to have cheese in it. It takes a long time to make cheese. But the time it takes to make most foods is something we don’t think about much anymore. When I started writing the novel, Kate said, “This is amazing, what you are doing. You’re going to write and I’m going to cook for you.” And she did. There’s this way of which a really old fashioned definition of wife came into play for about four to six months – where she really cleared the path for me to just write, nothing else. It was sort of amazing to be making a book with my hands and to be brought beautiful, crafted meals. And after the six months ended, she said, “Ok we’re going back to you helping me cook.” I don’t know that it will ever happen again. Now that I’m working on the next one, I don’t think that’s happening, but I treasure that time. In The River of No Return, several other foods are reflective of time passing. The ices in the Victorian café, for instance. Those are so impermanent. They are the opposite of cheese. And also, they’re really weird ices. Yes. A scene takes place at Gunter’s, a really wonderful café that specialized in ices in Berkeley Square. My characters end up living in Berkeley Square and my female character, Julia, goes to Gunter’s with a friend and experiences ices for the first time. There’s an Elizabeth David book, Harvest of the Cold Months, which is a history of ice in Europe. She chronicles how the Medicis would send armies to the Alps to get ice out of the glaciers. They would take thousands of tons and come back with 1/80th of what they started out with because it would melt on the way back down. This was an incredible quest for ice. When you decide to bring ice out in the open and eat it, it’s an ephemeral thing. The process of getting and making and preserving ice across a time when it would naturally melt away, before refrigeration is a process basically of stalling time. So I found ice, and eating ice, very important. In the scene, Julia is in the park at that moment having only realized the implications of time travel. She’s realizing things as she’s watching the shadows of leaves flickering and her friend is trying to have a serious conversation about everyday things. She’s having this meta-moment about time as the ice melts on her tongue and the sun passes across the sky. Meanwhile, the kinds of ice cream they eat – I really enjoyed researching those. Julia eats bergamot ice, which is a kind of bitter orange. That makes sense. But the other flavor that Julia’s friend eats is rye. I found a period menu from Gunter’s, and rye ice was on the menu. I was fascinated. There’s another aspect of eating and food culture in the Victorian era that comes to light at Gunter’s. That’s the management of who you’re seen with when you go out, and who can eat what, and with whom, in public. Julia has ices in a café with a friend when she’s just out of deep mourning. Meantime, Nick’s having drinking and dining exploits all over London. I teach at a women’s college. Now, ninety percent of that teaching has nothing to do with the students being women: they are purely enquiring young minds. But then ten percent of the time, one realizes that the world really hasn’t changed in some ways for young women. I see the effects of the way we condition girls vs. boys. Eating is one of those. 2013 is different from 1815, but I find myself very conscious of scenes between women. I’ve got these two young women having ices in a scene that will feel very familiar to readers of the romance genre. At Gunter’s, men and women are allowed to mingle, the rules are relaxed a bit. Writing about these two young women eating and thinking about how intense eating is – how much do you eat, how do you perform eating in front of other women – that modern gesture of ‘oh this will make me fat but whatever’ that so many women make now. Going back in time I found myself wondering about those interactions and what they would mean to Julia. They would make her think ‘what does this express about who I am as a person.’ Remember, some of the women eating at Gunter’s were women of ill repute. Maybe Julia shouldn’t have been there at all because she was in mourning. I love the fact that Julia goes where Julia wants to go. It is impossible how constricted women were in the period. Every time you research ‘could she do that?’ the answer is ‘no’. Every time. It’s just amazing. It gives you this amazing respect for the generations between then and now who fought the fights that mean women can have any autonomy at all. It’s just insane. Ok, the third food moment in The River of No Return takes place not long after the scene in Gunter’s. This is the canning episode, which is done in the basement of a house, right next to the hidden time travel room. Nick’s supposed mistress, Alva, is canning – perfectly – while maintaining multiple conversations. It’s almost like watching someone juggle. AND you’ve got another time travel metaphor. Yes, canning is capturing time in a jar. Preservation is what makes food culture interesting. Alva is Swedish, and she’s making Swedish pickles, beets, in this scene. In the basement of Alva’s London home, if you go to the right, you run into her kitchens; if you go to the left, you find the Time Travel hostel – it is a ‘which door do you choose’ puzzle. In the scene, Alva is teaching three young women. They are each of them in different positions of knowledge about time travel. She’s having to teach and to not teach simultaneously. So I wanted her to be doing something exacting, where she has to make sure of everything, to make sure jars are boiled and the temperature is just right. I also wanted Alva to be doing something in the scene where she’s an expert, while she’s also engaged in a time travel metaphor. The pickling scene comes out of watching my partner Kate in our kitchen at home. We live in a nineteenth-century rowhouse and until very recently we didn’t have proper cabinets, just a rinky-dink stove that had dwindled to one burner, and random shelves, and a huge old farmhouse sink. And Kate would still make jam and pickle things, under the light of one light bulb, on one burner. I was stunned at the drive to do this work, in those conditions. So when I put Alva down there in her basement, … I knew that kind of work could be done. I love that you’re talking across time using food, and much of what you’re talking about is teaching. Because the other thing that food requires – especially foods that are difficult to maintain – is that cooking and preserving methods have to be taught and handed down from person to person. The River of No Return is a coming of age story, a romance, a love story. Julia’s been locked up all her life. Nick ran away – to war, from his responsibilities, and to the future. So even though he’s in his early 30s, he’s someone who has not necessarily grown up. Julia’s emotionally extremely intelligent and can read people very closely. But she’s also inexperienced as a member of culture, and sexually inexperienced as well. Nick is very experienced in those areas. They each have something to teach each other. They teach each other and those who surround them are also their teachers. There’s a ton of teaching about time travel too, what it means, how to use it. What it feels like. It is exactly like the way that you have to learn to cook. You have to learn to understand what time means with cooking. In certain dishes, time moves really quickly – everything must be arranged and then you throw it on the hot pan. Other times, it moves very slowly. There’s a batch of walnut liqueur that’s in my basement that is going to take another year and a half and I’m out of my mind waiting for it. I’m finishing a novella, The Time Tutor. It is the story of Alva and her teacher, Ignatz. Going into the past of The River of No Return. It’s a story set in Georgian England, in wig-time. 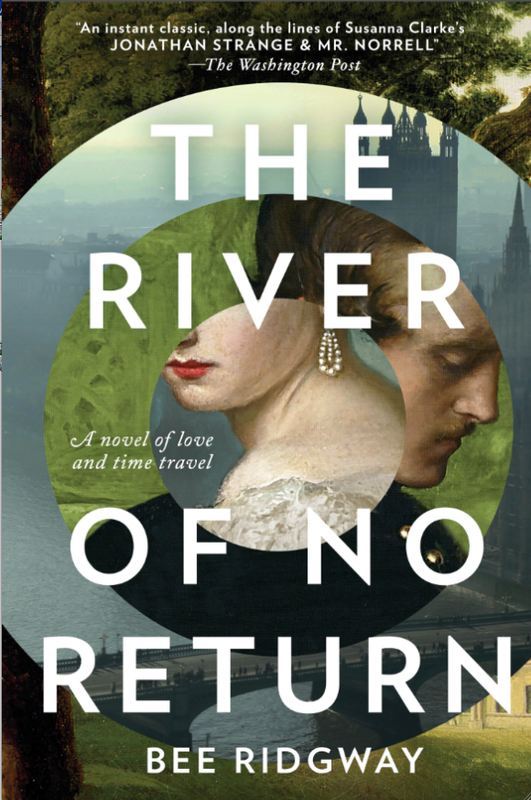 That comes out just before the paperback of The River of No Return, early next year. The juice from the walnuts will permanently stain anything it touches, so wear gloves! Wash down the cutting board as soon as you are done cutting the walnuts. Rinse and pat dry the walnuts. Wearing gloves, and making sure you won’t splash and stain anything precious, cut them into quarters with a sharp chef’s knife. Put all ingredients into a large glass container. The vodka should cover the walnuts. Cover and shake to mix well. Store for 6 weeks, shaking daily. As the days go, the walnuts will darken and then the liqueur itself will begin to get darker and darker. When you are ready to bottle, strain out the solid ingredients using a sieve or colander. Again be careful where you do this as the walnuts still have the power to stain. I save these walnuts in the fridge and serve them on top of ice cream. Further filter the liquid through several layers of cheesecloth, or paper coffee filters, and then pour into glass bottles and cork them tightly. Store in a cool, dry place. If you can stand it, wait 2 years to drink! The nocino will initially be rather bitter, but it will mellow over time. It’s best at least a year after it was first bottled. Bee Rigeway is an eater first, a cook second and a writer third. She lives in Philadelphia and is a professor of English at Bryn Mawr College. 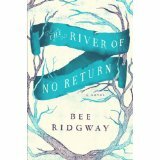 THE RIVER OF NO RETURN is her first novel. Cooking the Books received a copy of The River of No Return from the publisher.